PNKA DD52 class 2-8-8-0 Mallet No. DD52 03 is en route from Tjibatu toTasikmalaja with a short freight train - though there are plenty of passengers on board. 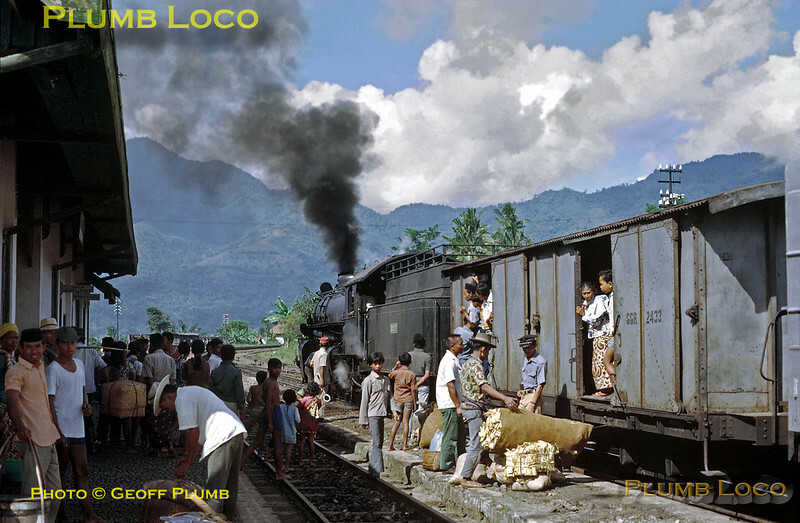 The train has just arrived in the station at Malangbong, to be met by a crowd of people, now unloading or loading their goods. Thursday 19th July 1973. DD52 03 was built by Hanomag in 1923, works No. 10223. Slide No. 11299.